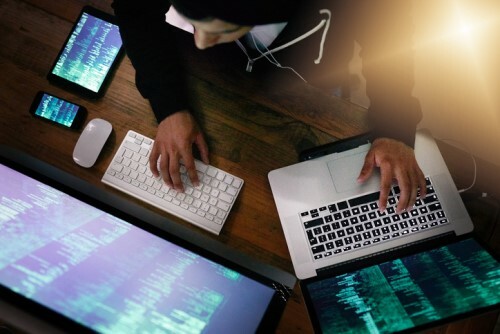 With incidents of cyber breaches on the rise, all varieties of businesses are beginning to realize the importance – and value – of cyber coverage. It’s a rapidly expanding market and a potentially lucrative area for agents to grow their books of business. Specialty insurance firms are being forced to continually assess their policy offerings in order to meet the changing risks faced by clients. Those insurers that prove themselves to be up to the task are also achieving strong growth. NAS Insurance is one such carrier. The company’s cyber business grew significantly in 2017, crossing over the $100 million mark in open market, program business and reinsurance cyber premium. Cyber claims have also been on the rise for NAS. Having adjusted almost 1,500 cyber claims in 2017, the company identified four notable trends: The number of identities impacted by a breach surged; the average cost of IT forensics and call centers exploded; ransomware became the second most common cause of loss for both healthcare and non-healthcare businesses; and the average financial loss resulting from cybercrime (e.g., wire transfer fraud, telecommunications fraud, and phishing attacks) exceeded $100,000. “Given these trends and what we have seen so far in 2018, it is likely that the number of cyber claims will continue to rise, cyberattacks related to the Internet of Things (IoT) will grow, and ransomware will remain a serious concern,” said Jeremy Barnett, senior vice president of marketing at NAS. After analyzing its 2017 data, NAS saw a significant increase in the average costs of claims for healthcare businesses. Notification costs accounted for a significant chunk of the increase, with NAS reporting a 114% rise over 2016 expenses. Much of the increase in notification costs can be attributed to a massive 70% increase in the costs associated with call centers. For non-healthcare businesses, notification costs actually saw a reduction in 2017, and were down 44% compared with 2016. Call center costs were also down among non-healthcare businesses (25%), however there was an increase in costs related to breach coaching (37%) and credit monitoring services (117%). “In addition, the cost for IT Forensics in non-healthcare claims showed a sizable increase (+58% vs 2016) as a result of the increased technical complexity of many of the claims we handled,” said Barnett.